Aqua Sana Woburn Forest opened in June 2014 and has welcomed thousands of guests since. 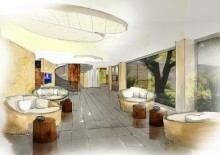 As the fifth of the Aqua Sana Spas, it is true to the original ethos of being close to nature, welcoming and offering a variety of experiences helping people to step over the threshold into the world of spa but also embraces new ideas and technology to bring the best of the ‘new’ into the experience. Aqua Sana has five locations across the UK; Sherwood Forest in Nottinghamshire, Elveden Forest in Suffolk, Longleat Forest in Wiltshire, Whinfell Forest in Cumbria and Woburn Forest in Bedfordshire which opened to guests in the summer of 2014. Aqua Sana Woburn Forest is nestled in the heart of Center Parcs Woburn Forest Village, surrounded by forest and offering 25 experience rooms and a variety of treatments to choose from. Inspired by nature and combining different approaches from many of the leading European spas with the latest innovations, there are six unique spas at Woburn Forest to journey through, all within the World of Spa. The six spas are; Fire and Ice, Mineral and Gemstone, Blossom, Herbal, Sensory and Salt; each one with a variety of multi-sensory experience rooms, two of which are the first of their kind in the world. Aqua Sana Woburn Forest sets the benchmark for high quality social spas in the UK and beyond, taking the Aqua Sana World of Spa to a new level. This is a state-of-the-art spa, the only one of its kind in Europe, evolved from the award-winning spas already a success at Center Parcs’ other four Villages. 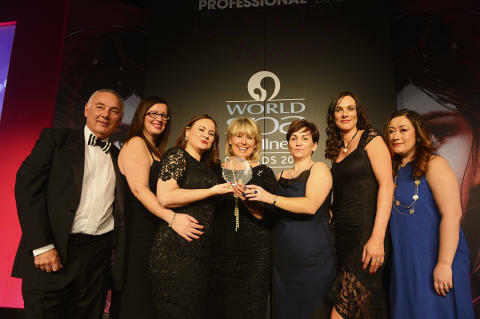 Within 8 months of opening, Aqua Sana Woburn Forest has won the Good Spa Guide Award for 'Best Spa to be Social' and the World Spa and Wellness Highly Commended Award for 'Resort Spa of the Year' in the Europe and Scandinavia category. 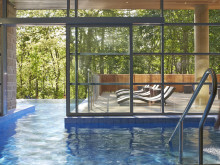 Aqua Sana Woburn Forest is just 50 minutes from London making it the perfect spa destination for Center Parcs short break guests, Spa Day visitors and Luxury Spa Break guests alike.